Nagoya International Pro is part of the UAEJJF World Ranking and Abu Dhabi World Professional Jiu-Jitsu Qualifiying Series. Open to All Nationalities, All belts Kids,Juveniles, Adults and Masters. Athletes should make sure that all your registration information is correct at the fighter's list. Check your Name, Weight, Gender, Age, Belt and Academy. All academies must be registered in UAEJJF in order for its students to register in the competition. All Kids and Adults from White to Black Belt athletes must be properly affiliated for the current year in the UAE Jiu-Jitsu Federation. All the documentation must be properly filled when applying your affiliation online. All athletes with pending and/or incorrect documentation won't be able to register for the tournament, as they need to have their request approved first. Please note that this process is made manually by our staff and might take a day or 2 to be completed. For more information on how to register your academy: Academy Registration. 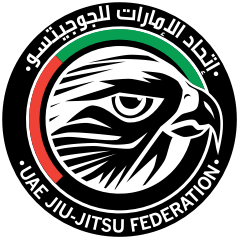 Any false information provided during registration such as DOB or Nationality, but not limited to; may leed to immediate disqualification; such actions are subject to suspension or even banishment from future UAEJJF events. Depending on the number of athletes in the tournament, some classes may not have the division. * When there is only one athlete on the bracket, points are not counted. Exemption: Athletes who are alone in their bracket are eligible to receive a full refund of the registration fee if they contact [email protected] and request to withdraw their name from the competition prior to the end of the appointed event registration correction day. The registration fee can not be transferred to another member or championship. A maximum weight is applied accourding to the event divisions, a fighter should not exceed this weight on the weigh-in day (check divisions tab on this event). Players from the same club can be placed on the same side of the brackets. If two fighters (team-mates) are suspected of fixing a fight, they will both be subject to disqualification from the tournament. In suspected cases, the Central Referee should stop the fight as soon as possible and request the supervision of the Referee Coordinator. The fight will then continue with the Referee Coordinator reserving the right to disqualify both competitors should the Referee Coordinator deem the fight to be fixed. The players must to wearing Kimono to receive their medals in the podium (not allowed hats, earphones, sponsors’ t-shirts or other kind of advertise). Not allowed to hold club t-shirt or teams flags on the Podium (only country’s flag). If there's three players, they will receive their medals but there's no prize money. Division must have no less than 4 athletes from different academies to receive the prizes (in others case the division runs normally but there is no prize). Avoid problems, perform before a checking list correctly, and make your check in to the day stipulated. Make sure to have clean clothes and GI or NO GI uniforms in proper condition. Before each fight, athletes will be asked to show their Picture Ids to the officials. Make sure you have it at hand, the absence of ID can lead to DQ. Make sure to check the schedule at our website, brackets and schedules are also posted at the event venue. Athletes must keep the kimono and belt tied to the waist at all times while in the waiting or competition area. The athletes are not allowed to jump over the fences/barricades in the competition area. Make sure to get to the event at least 45 minutes prior to your bracket schedule. You should be warmed up by the time your bracket is called. Make sure to listen to the division calls on the PA System in the Warm Up area. At the designated time, go to the warm up area, wearing your GI and with a picture ID or Badge accreditation. After the Bracket Manager call, he will take you to the concentration area to wait your time to fight. The Mat Manager will take you to the competition area for your fight. Do NOT remain in the competition area after the end of your fight. Return to the concentration area, and remain there until the mat manager calls you for the next round if you won your previous match. Be respectful to the staff, officials other athletes and coaches. In turn they will show you the same courtesy. Be respectful to the referees, showing consideration and appreciation for the performance of his or her duties. Any disputes regarding matches are to be settled by the Referee. All decision by the Referee will be final. Direct all questions to tournament staff at the administration table. We will do our best to answer your questions as quickly as possible. Please be patient with questions as there are a lot of competitors at the event. As such we remain busy throughout the day. Please maintain your belongings. We cannot be responsible for lost or stolen items.